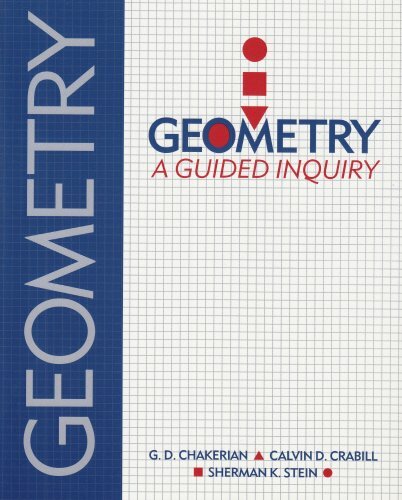 Geometry: A Guided Inquiry by G.D. Chakerian, Calvin D. Crabill and Sherman K. Stein is designed to involve students in the teaching-learning process. It is through cooperative work, encouraged throughout the book, that students of varying abilities can learn together in the same classroom. About Don, Et Al. Chakerian (Author) : Don, Et Al. Chakerian is a published author. A published credit of Don, Et Al. 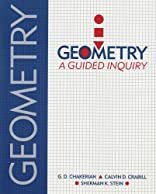 Chakerian is Geometry: A Guided Inquiry.